Would you believe that we actually made and photographed this recipe last year and are just now getting to posting it?! 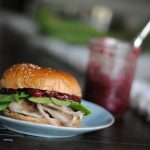 I cook Thanksgiving dinner each year and I was looking for help, so I asked my eldest daughter (the one who made the falafel) to come up with a healthy cranberry sauce recipe that didn’t include sugar. 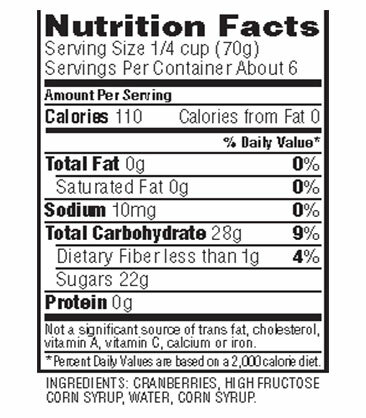 Because have you ever looked at the ingredient list of canned cranberry sauce (see below) or the sugar content of most homemade recipes? It’s outrageous! The result is a thick, wholesome cranberry sauce made with real ingredients that you can feel good about serving on Thanksgiving, Christmas, or anytime at all! What makes a healthy cranberry sauce? Below is an image from Ocean Spray’s Whole Cranberry Sauce (affiliate link). Notice the ingredients; the second one is high fructose corn syrup. And the last is corn syrup! Surely there can be a better way to enjoy this holiday staple without all of these two add-ins. Now here’s the thing – my philosophy truly is that sugar is sugar is sugar. By this, I mean that regardless of what type of sugar it is, it should be enjoyed in moderation. All sugars are recognized as sugar to your body, so we need to be cognizant of how much we are eating. With that being said, when opting for what type of sugar to use, I always choose maple syrup or honey (since they are both unrefined options) or coconut sugar because it is low on the glycemic index and very low in fructose and glucose. So my suggestion to Jaiden (my eldest) was to make a healthy cranberry sauce recipe with honey. And let me tell you, it’s a winner! This is truly a recipe that your kids can make, obviously using supervision if or when needed. 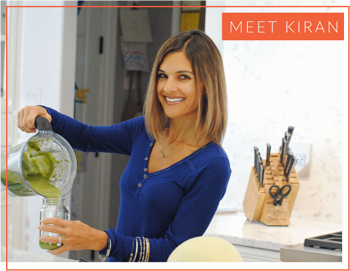 I do always try to be in or near the kitchen when my kids are cooking, and provide assistance as they require. At 14, she has had lots of experience cooking on the stove, which is SUCH a powerful #momwin for me, and so good for her confidence. I love it! It takes honestly 20-25 minutes from start to finish to make this recipe, which includes just 8 ingredients cooked in a pot on the stove. Let it sit and thicken up, and you have a healthy, colorful much-loved accompaniment to your holiday dinner (or leftover lunch, or whatever it may be!) Once it cools, store it in a canning jar for a pretty presentation. Refined sugar-free cranberry sauce made with all natural ingredients and sweetened with honey. Bring 1 cup of water to a boil in a medium - large pot. Add cranberries and reduce heat to medium, stirring occasionally for 10 minutes (until most of the cranberries have popped). Turn heat off once cranberries have popped to your liking (we leave a few in tact). Add remaining ingredients, stir to combine. Let sit until sauce thickens (minimum of 30 minutes). Toast. Need we say more? Sweeten your yogurt with it – a great way to control how much sugar is added. Sweeten to your liking! Add a dollop to your morning oatmeal. Make homemade whipped cream and at the end, whip some cranberry sauce in to make it deliciously pink. As a topping to a turkey sandwich, as shown above. 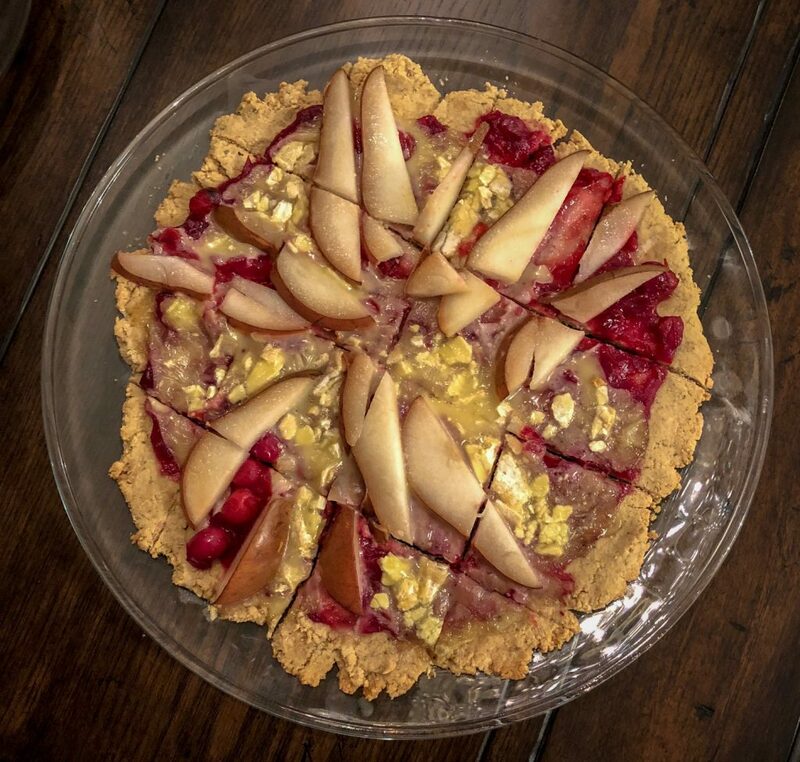 Top a gluten free pizza crust with cranberry sauce, brie and pears for a festive appetizer. Have you tried making your own cranberry sauce? I’d love to hear how you use it, and how you like it in the comments below! Happy holidays! That sandwich with sauce is SO yummy! I love the idea of using cranberry sauce all fall and winter as a condiment. Thanks for this lovely honey version!! Yes! So many different ways to enjoy it, it’s definitely just not for Thanksgiving dinner. Enjoy! I agree! And I love that it has honey as opposed to corn syrup/etc. Hope you enjoy it! I love fresh cranberry sauce! Your version sounds delicious. Homemade sauce is always so much better than store bought! Love that this is so quick and easy to make! Great idea to use this to top a pizza crust! I agree!! And the pizza was a big hit. I don’t generally go too far away from the tried and true, but this version was a hit! Love all these flavors for the Thanksgiving turkey! It is so nice to be able to make it with ingredients you can feel good about! 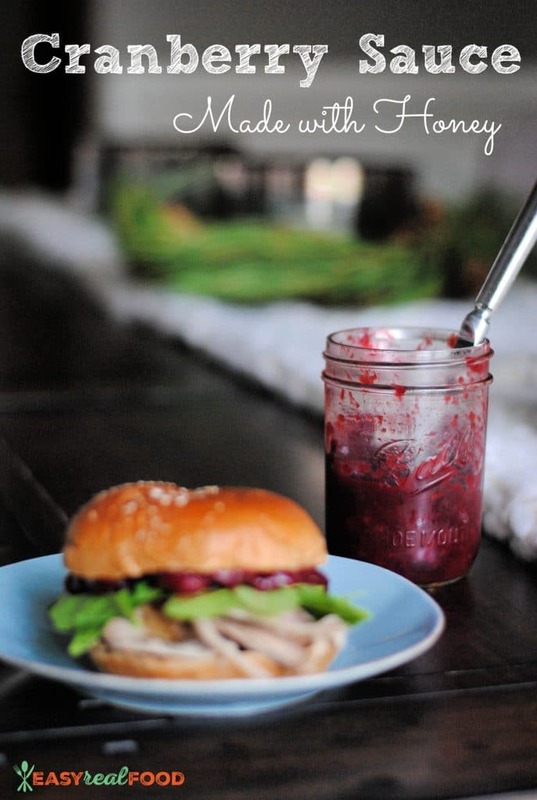 cranberry sauce is perfect for the holiday season and it goes well with so many things ,too! This looks SO much better than store bought versions and I love the clean, real food ingredients! I can’t wait to enjoy some on my turkey sandwich the day after Thanksgiving. I agree, and appreciate the comment! 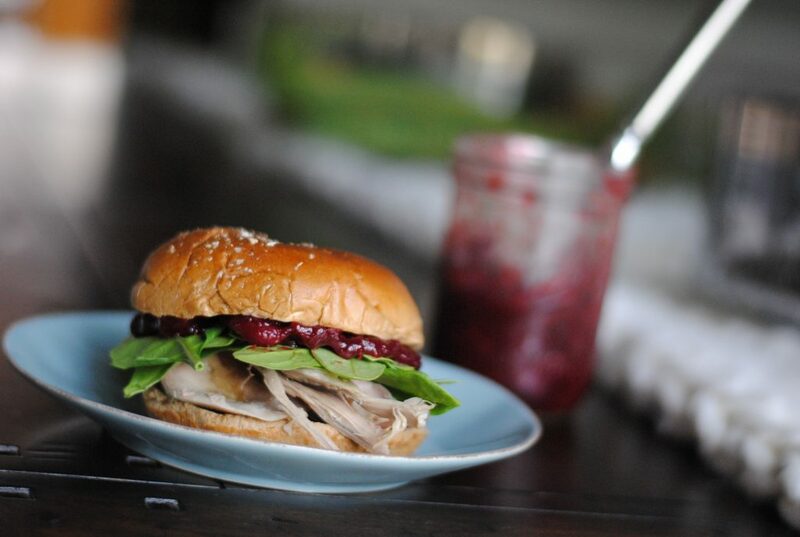 This cranberry sauce is sooo good on a turkey sandwich – if there’s any left from Thanksgiving:).